Planning Staff ensures that changes to the community's physical environment comply with all applicable land development policies. All development proposals are reviewed to ensure consistency with City policy and land development code requirements. 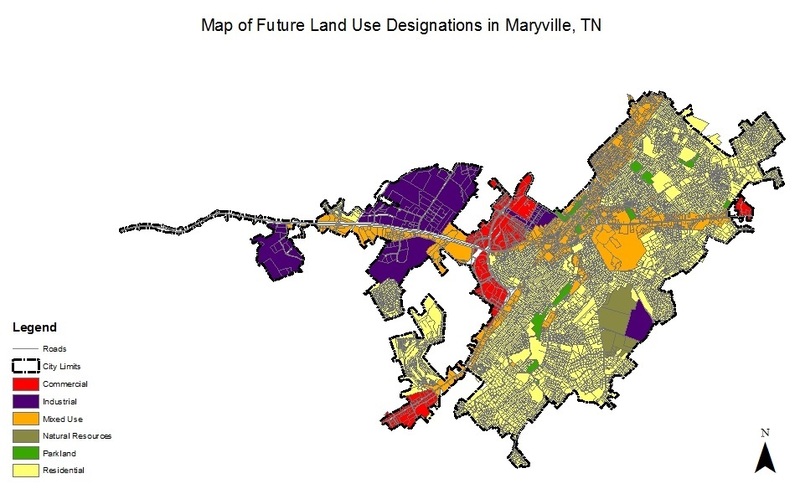 Title 14 of the City of Maryville ordinance provides information on zoning standards for each zone in the city. 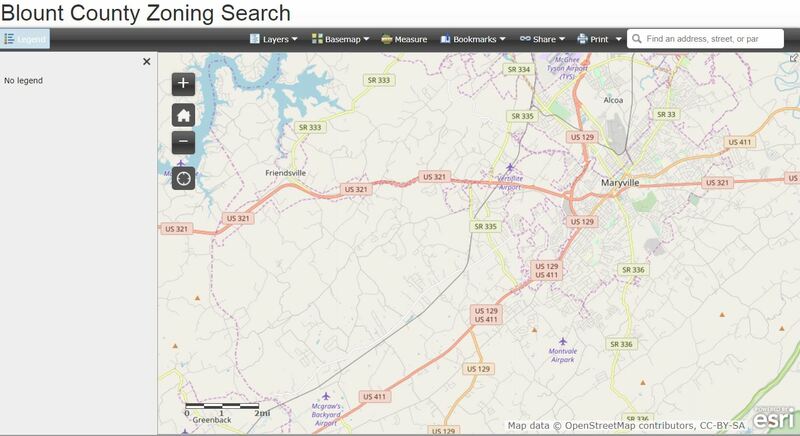 Below are links to documents with condensed versions of the zoning district requirements. The documents provide land owners, developers, and other interested parties with abbreviated information on permissible uses and standards such as setbacks, parking, and other related information related to each zone. ​Maryville Municipal Code §14-211 (5) Commercial Design Criteria – citywide provides aesthetic guidelines for commercial properties in all but the downtown zones, the industrial zones, and the Central Village overlay zone. The Land Use Plan integrates constraints, opportunities, economic necessities, aesthetics, and the health and welfare of the population into the long term development outlook for the city. The plan balances those concerns across the entire city and provides a rationale for future changes. It provides the basis for the zoning ordinance, which guides the implementation of the City’s vision for development. The Land Use Plan 2035 presents an updated future land use map, which provides the points-of-reference from which the planning commission can deliberate proposed zoning changes. Requiring that zoning changes are in accordance with the planning commission’s designations of future land use ensures that zoning addresses the broader concerns of the city. The future land use map and the Zoning Map provide current and future land owners the development framework for the city on which investment decisions can be made. Adherence to the land use plan and to the zoning ordinance ensures consistency and stability for future development and provides a level of certainty to current and future land owners.